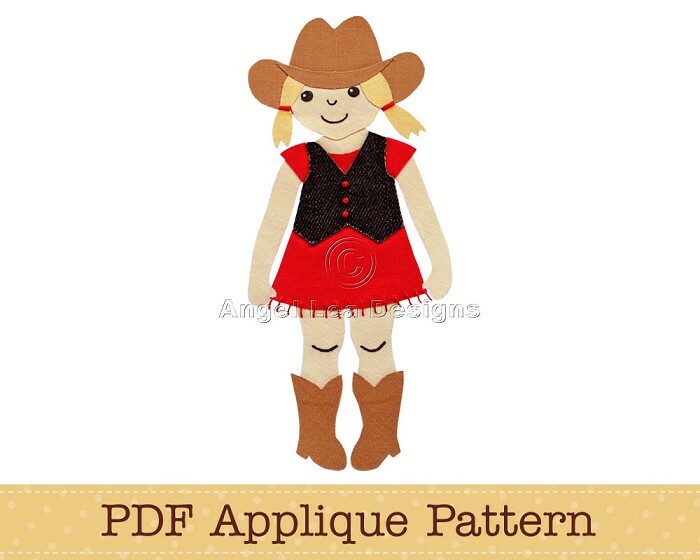 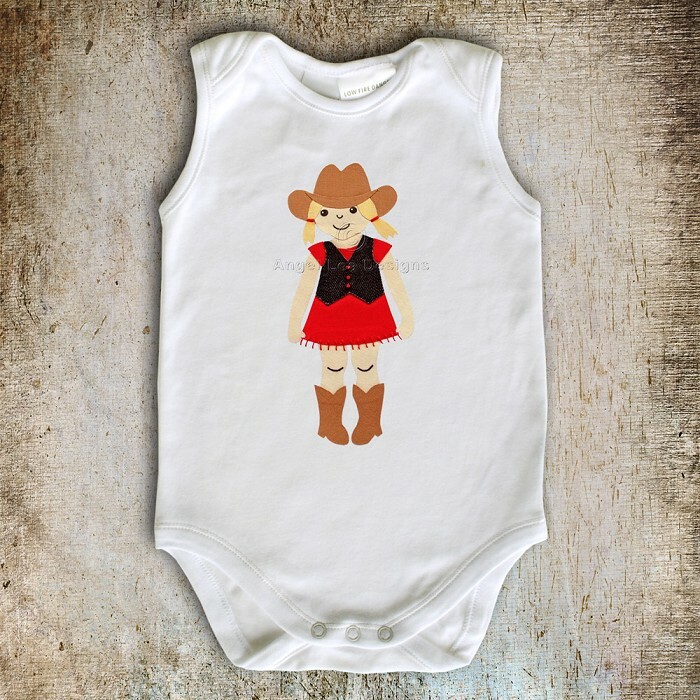 Cowgirl PDF template for making your own appliques for clothing embellishment, quilting, scrapbooking, card making, etc. 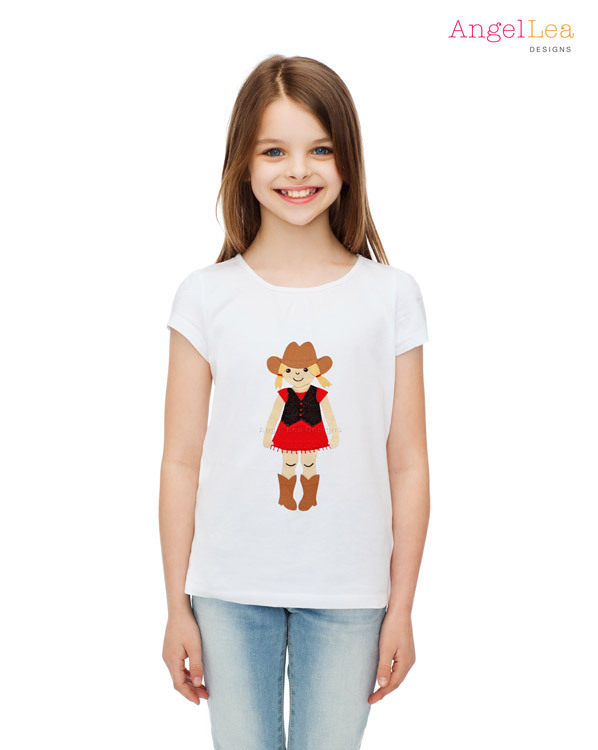 ♥ The girl measures approximately 8.5cm x 19cm (3 3/8″ x 7 1/2″) but can be enlarged or reduced as desired. 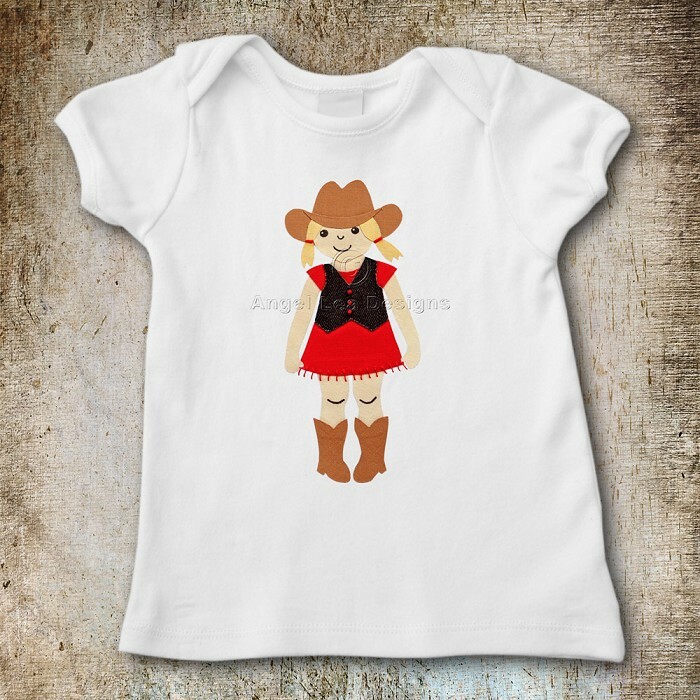 ♥ Some of the details need to be embroidered onto the design or alternatively, drawn on with fabric marker.